A brand new Gallery Hanger option developed at the end of 2016, is now available as a "Design Your Own" option. Lightweight, this hangs above a specific gallery area and is another fantastic option to assist in creating your perfect showroom. 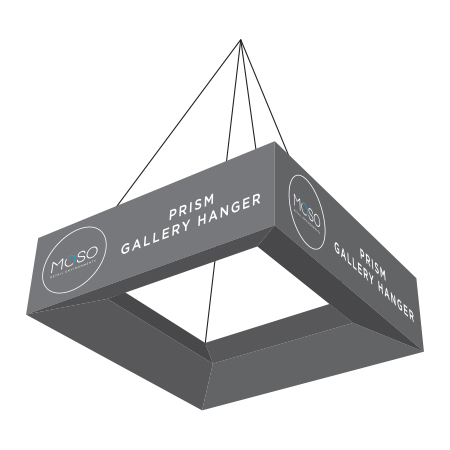 Click the image to view the new Create Your Own Gallery Hanger - Prism.